My admiration for Douglas Adams only seems to increase with the years. “I’m very glad you asked me that, Mrs. Rawlinson. The term `holistic’ refers to my conviction that what we are concerned with here is the fundamental interconnectedness of all things. I do not concern myself with such petty things as fingerprint powder, telltale pieces of pocket fluff and inane footprints. I see the solution to each problem as being detectable in the pattern and web of the whole. The connections between causes and effects are often much more subtle and complex than we with our rough and ready understanding of the physical world might naturally suppose, Mrs. Rawlinson. Let me give you an example. If you go to an acupuncturist with toothache, he sticks a needle instead into your thigh. Do you know why he does that, Mrs. Rawlinson? Cloud, SOA, Enterprise Mobility, Social Media/Enterprise/Business, The Internet of Things, Big Data (you name it) – each in its own way is part of an overall tendency. The general trend is for enterprises to become increasingly involved in increasingly broad ecosystems. As a trend, it predates that list of Internet phenomena but it’s clear that they are dramatically accelerating the pace. Not only do they individually contribute to that trend but collectively they add another factor of both complexity and urgency to the picture. They are interconnected by cause and effect and by usage. Unfortunately that interconnectedness doesn’t (yet) involve very much interoperability. 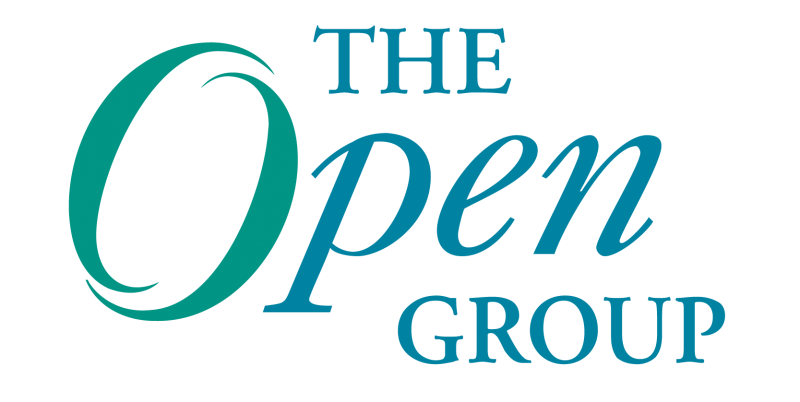 Readers of this blog will know that The Open Group is starting a new initiative, Platform 3.0 which will be looking at these technologies as a whole and at how they might be considered to collectively represent some new kind of virtual computing platform. There’s an ongoing discussion of what the scope of such an initiative should be, to what extent it should concentrate on the technologies, to what extent on purely business aspects and to what extent we should concentrate on the whole, as opposed to the sum of the parts. One can also see this as one overarching phenomenon in which making a distinction between business and technology may not actually be meaningful. Although no one (as far as I know) denies that each of these has its own specifics and deserves individual examination, people are starting to understand that we need to go with Dirk Gently and look at the “pattern and web of the whole”. Open Group members and conference presenters have been pointing this out for a couple of years now but, like it or not, it often takes an analyst firm like Gartner to notice it for everyone else to start taking it seriously. What these organizations like to do is to pin labels on things. Give it a name, and you can kid yourself you know what it is. That fact in and of itself makes it easier for people – especially those who don’t like dealing with stuff you actually have to think about. It’s an example of the 42 problem I wrote about elsewhere. Gartner frequently talks about the “Nexus of Forces.” Those of you who are not Trekkies may not understand why I fall over laughing at that one. For your benefit, the Nexus was this sort of cloud thing, which if you were able to jump into it, enabled you to live out your most treasured but unrealistic dreams. And in the Star Trek movie this was a big problem, because out there in the real world everything was going seriously pear shaped. In my view, it’s crucial to tackle the general tendency. Organizations and in particular commercial organizations become part of what Jack Martin Leith calls a “Business Ecosystem”(jump to slide 11 in the link for the definition). If one goes back, say, ten years (maybe less), this tendency already manifested itself on the business side through the “outsourcing” of significant parts of the organization’s business processes to other organizations – partners. The result wasn’t simply a value chain but a value network, sometimes known as Extended Enterprise. Ten years later we see that Cloud can have the same effect on how even the processes retained within the organization are carried out. Social and mobile take this further and also take it out into the wider enterprise and out into that business ecosystem. Cloud, social and mobile involve technological interconnectedness. Social and mobile also involve business interconnectedness (one could argue that Cloud does too and I wouldn’t feel the need to disagree). The business of an enterprise becomes increasingly bound up with the business of other enterprises and as a result can be affected by changes and developments well outside its own range of control. We know that the effects of these various technologies are interconnected at multiple levels, so it becomes increasingly important to understand how they will work together – or fail to work together. Or to put it more constructively, we need strategies and standards to ensure that they do work together to the extent that we can control them. We also need to understand what all the things are that we can’t control but might just jump out and bite us. There are already enough anti-patterns for the use of social media. Add to that the multi-channel implications of mobility, stir in a dose of Cloud and a bunch of machines exchanging messages without being able to ask each other, “excuse me, what did you mean by that?” It’s easy to see how things might go pear shaped while we’re having fun in the Nexus. Does this lead to an unmanageable scope for Platform 3.0? I don’t think so. We’ll probably have to prioritize the work. Everyone has their own knowledge, experience and interests, so we may well do things of different granularity in parallel. That all needs to be discussed. But from my perspective, one of the first priorities will be to understand that interconnectedness, so we can work out where the needle needs to go to get rid of the pain. There seems to be a growing paradox Stuart. On the one hand the sense that everything is interconnected and on the other hand an overwhelming a connonly shared feeling among people and companies to be no longer in control. Is that a paradox, Frans? Or is the one just a logical conclusion of the other. It may depend on how one interprets “in control”. If it means that people are concerned that everything is “out of control”, then clearly there’s a problem that needs fixing. If it means, as I intended, that no one person/organization can exercise control over everything that might affect them/it, then I’d argue that’s just the way things are and that they can only become more so. The purpose of my article is to say that we need to find ways of operating effectively in this situation. That perhaps the concept of “in control” needs to be rethought. One the one hand we should indeed seek ways to control what can be controlled – making the merely complicated as simple as possible. On the other hand we should accept that a genuinely complex (or chaotic) environment cannot be made simple and rule bound but requires focus on interaction and adaptability. In both cases the first task is to understand what exactly we’re dealing with.